PRICE REDUCTION! Two adjoining parcels on 7+ acres (4.20 and 3.16) in beautiful Burnt Ranch with stunning views of Iron Mountain! These parcels offer open meadows, southern exposure and privacy, with several excellent building sites. Both parcels have power, shared water (a great producing well, 25 gpm), and are perked. There’s a small pump house (8′ x 8′) for the well with phone and fridge, a small sleeping cabin (10′ x 12′) with storage loft and deck, and a large, fenced garden area. A seasonal pond crosses both parcels. The property is very park-like, with a nice mix of open pasture and forest. Abundant wildflowers cover the meadows in spring. It has a gravel road and is partially fenced. 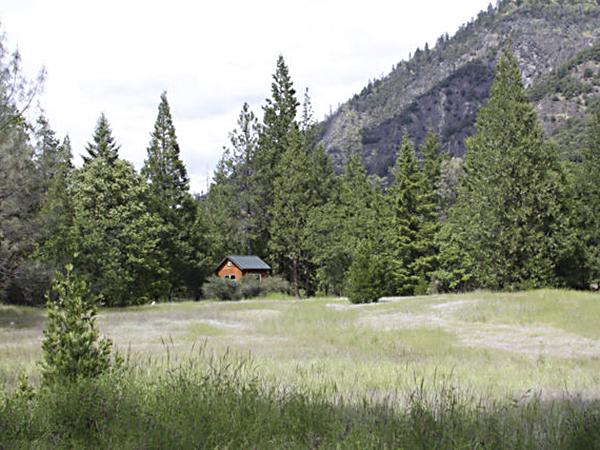 Seller would consider including a spectacular 40-acre Burnt Ranch Falls mining claim!